When I saw the cover of the book The Snurtch, I saw my students. The cover griped me. I immediately ordered the book on Amazon Prime, before knowing any thing else about the book besides its cover art. Something about the cover character’s resigned frown reminded me of my students when they are not at their best. I could not wait to meet the Snurtch. When this book arrived, I read it aloud to my students the next day. I have never seen such engagement from a read aloud. My students could hardly remain seated, because they were bursting with text-to-self connections. In the above image, you can see the main character, Ruthie, appears to be throwing crayons and making mean faces at other children. She is just responding to her Snurtch; however, the students around her cannot see her Snutch. They only see Ruthie’s actions. Over the course of the story, Ruthie learns to calm and control her Snurtch. She also learns that everyone has a Snurtch of their own that they can calm, apologize for, and teach the right thing to do. My students immediately connected with the book and were ready to share things for which their Snurtches were responsible. One student who sings out in class, said that her Snurtch sings loudly when the teacher is talking. Another student said that her Snurtch makes a mess at breakfast and lunch. One boy said that his Snurtch can yell out and cry when he gets frustrated. What is so powerful about this book was that it takes the blame off the student for their behavior, while still holding them responsible. We followed up our read aloud by making our own Snurtches and reflecting on what they do around our class. The results were amazing! I could see the relief wash over my students’ faces as they were able to discuss and take ownership of their behavioral challenges without blame. A few days later, we had firmly embraced our Snurtches. When someone was in a grumpy mood, left a mess, was unfriendly with another student, or ran in the hall, we were able to blame our Snurtches. Furthermore, my students have begun to take responsibility for and teach their Snurtches how to behave in school. This is the real value of The Snurtch: responsibility, not blame. Epilogue: About a week into our Snurtch life, we did a repeated reading of The Snurtch with our Snurtches. HIGHLY RECOMMEND! The Snurtches need to hear the story too! Last year, I looped with my student (remained their teacher from one grade level to the next) for the first time. One of the most notable changes we made as a class was from reading texts with pictures to without pictures. Wow! What a change. As a teacher who looped with her students, I could see an instructional hole in my students’ reading comprehension: the prior year, they had relied almost solely on pictures to support their comprehension of texts. The first time we read a text without pictures, I noticed that my students were unable to recall basic facts from the story, such as who was in the story or even one event that happened. We were reading words, but we were not understanding. Where were the pictures!? A new character was introduced: STOP & DRAW. A character leaves: STOP & ERASE. Characters throw a ball: STOP & DRAW. We went on STOPPING & DRAWING through the entire story. It was tedious, but worth it. At the end of the story, when asked the same comprehension questions, my students not only had a better understanding of the story, but also had self-made pictures to which they could reference if they were unsure. As our reading group evolved, my students learned to draw what they read with independence. Students would use arrows to show movement (characters entering or exiting), add details, and be constantly cognizant of the setting & characters. My students gradually relied on this tool less over time, however they remained eager to use this familiar and fun method. Main idea: Which idea is drawn in the most boxes? Sequencing: Teacher gives multiple events and students order them, then check based on their drawings. Students can actually write on their drawings “1”, “2”, “3” next to each event they find. Literal questions: Students can use the drawing to refer back to during literal question checks. Predictions: Have students flip the paper over and draw what will happen next! Make the first day memorable! I am going to do 2, 4, 5, 7, and 10 over the first week of my classroom. Time Capsule: Compile a “time capsule”. This can be as simple as a shoe box! Inside the time capsule, have each child draw a picture of themselves and fill out basic information about their preferences. 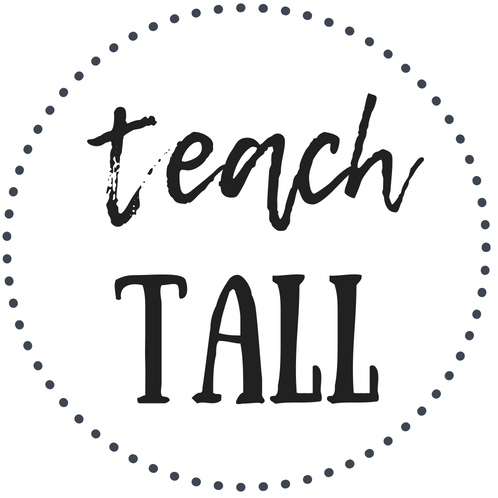 Teacher can also include: measurements of all students’ heights, actual class photograph, and “scraps” of paper from the first day (photos, work samples, etc.). Here is a link to a free Time Capsule Worksheet. Class-Puzzles: Each student gets a blank puzzle piece to decorate however they want. An instant display in which your students can find themselves. Class Rules: Work together as a class to draft class rules. Allow students to write their own independently. Once independently brainstormed, compile ideas onto an anchor chart and sort by commonalities, such as “Respect self” (don’t be late, wear appropriate clothes, etc. ), “Respect property” (use tools correctly, don’t draw on the walls, etc. ), and “Respect others” (be nice, don’t talk in the hall, etc.). Help students sort their ideas, even the obscure ones! Bucket Lists: Set goals for the upcoming year using Bucket Lists. Here are the links to the bucket lists for each grade level: first, second, third, fourth, fifth, and sixth. 5. First Day Jitters: Read First Day Jitters and make Jitter Juice! 6. A Big Wind Blows For: This game is the connection version of musical chairs. Benefits of this game: Highly active, students find commonalities with other students, and very engaging. Potential Challenges: Must be modeled initially (moving safety), shy students may struggle, and competitive students may struggle. 7. Get to Know You Phones: I am personally going to do this low-stress writing and drawing activity. It will not be our only on-going first week task, but an easy one to display for students to express themselves. 8. How Do You Like to Learn? Give students this survey to learn more about their learning styles! 9. Get to Know You Board Games: Print and play these three board games to get to know your students! 10. What I Wish My Teacher Knew: This does not have to be done on the first day. But how much would you learn about your students if they could tell you one thing completely anonymously? If you would like to structure the activity with a template, look here. School has not started just yet, but I am already excited to grow with my students. I am ready to launch into Growth Mindset from the beginning of the year. I have found in years past, I’ve often back pedaled to teach Growth Mindset. This back pedaling happens once I hear students use discouraging language or underestimate their own accomplishments. So in terms of growing: this year I will lead with Growth Mindset. I am going to lead this dialogue with a series of read aloud books. I picked these books, because they specifically focus not on academic growth. This is a fun visual to introduce the idea of Growth Mindset to students, featuring fun cartoon illustrations. I recommend implementing the vocabulary of “Bubble Gum Brain” and “Brick Brain” from this book into your class. A story about a young architect who, with his second grade class, builds a bridge out of unlikely materials. Rosie decides to build a flying machine to help her aunt achieve her goals. Vashti is not allowed to leave art class until she draws something, and that is when she discovers her hidden talent. After or in between these read alouds, I plan to introduce the concept of “Bucket Lists”: skills my students my students wish to foster in the upcoming year. “Bucket List” topics can be linked to the above books by referencing the skills of building, inventing, and drawing, while connected to the students’ lives by having them share skills they wish to develop further. With your new students in the upcoming year, keep it open ended! I use the below bucket list writing activity to root the students in their goal setting. The pages of the bucket are interchangeable and can be completely customizable to each student. For the younger grades, or students intimidated by writing, there are blank pages for just pictures of their Bucket List goals. Here are the links to the bucket lists for each grade level: first, second, third, fourth, fifth, and sixth. These bucket lists also make great beginning/end of quarter activities as a fresh start! It is a great way for students to independently reevaluate: what goals have I met and what goals have I yet to meet?